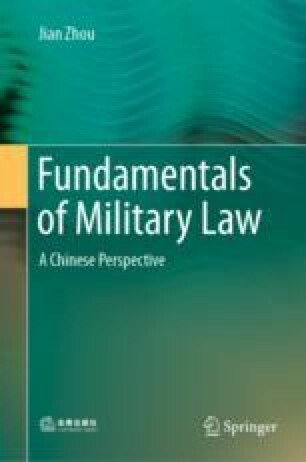 As one basic scope of national defense law studies, national defense legal liability, together with national defense legal norms, national defense legal relationship and national defense legal act, constitutes an important part of the basic theory of law studies on national defense. Article 9 of the National Defense law of the PRC stipulates: “Anyone in violation of this law and related laws, refusing to perform national defense duties or harming national defense interests shall be prosecuted for legal liability”. This shows that national defense legal liability is directly or indirectly provided by the National Defense Law, which is mainly the logical result of national defense acts.